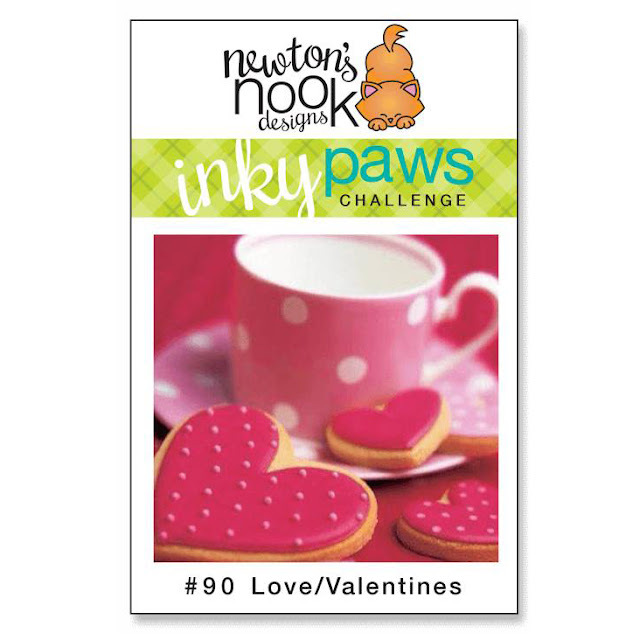 It's time for a new Inky Paws Challenge! 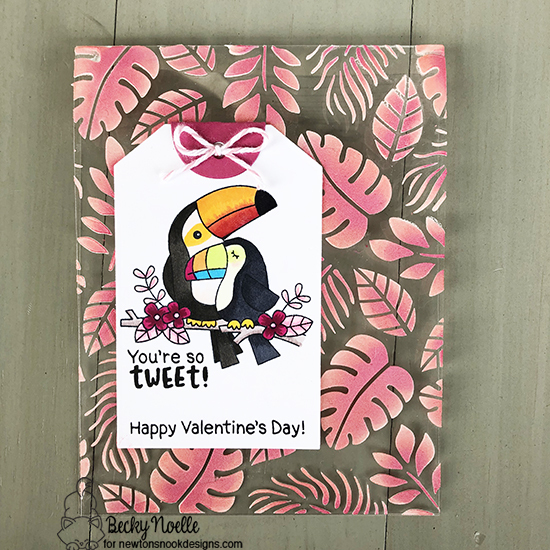 This week we have a love/valentines theme challenge and I decided to use the Toucan Party Stamp set with some stenciling on a clear card. The tags are adhered to the front and back of both sides of the card so there isn't any ugly adhesive visible, and there's a place to write in the card that won't show when the card is closed! I stenciled the Tropical Leaves on the clear card base with Ranger Texture Paste and then inked it up with Distress Oxides when it was dry. I stamped my Toucans on a tag die cut with the Newton's Nook Designs Fancy Edges Tag Die and colored them with Copics. I added some sentiments and baker's twine and it was done! I've got my meal planning done and I'm going out for a big grocery trip today, so wish me luck! This is so pretty! I love how you stenciled on the acetate for a fun clear card! And the colors are perfect for a valentine! what a fun idea!